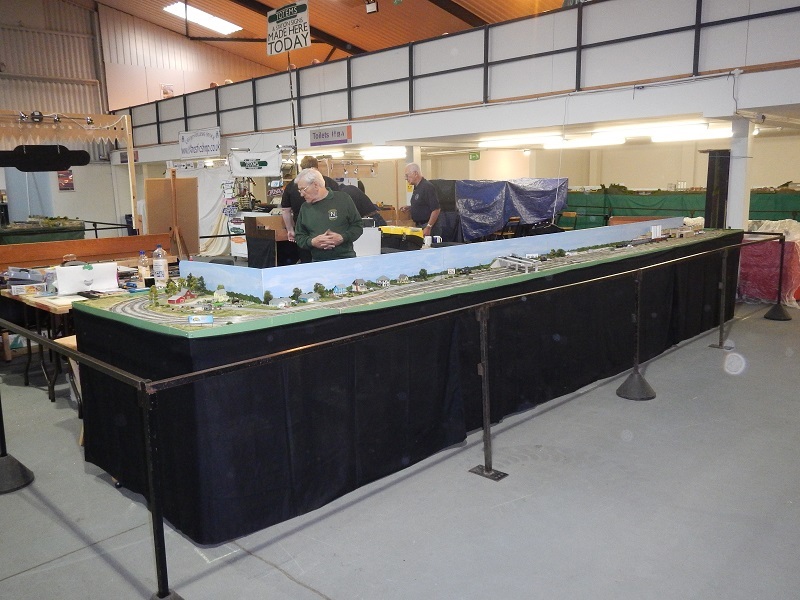 The group was once again represented at TINGS with our ‘Watts Crossing’ layout. 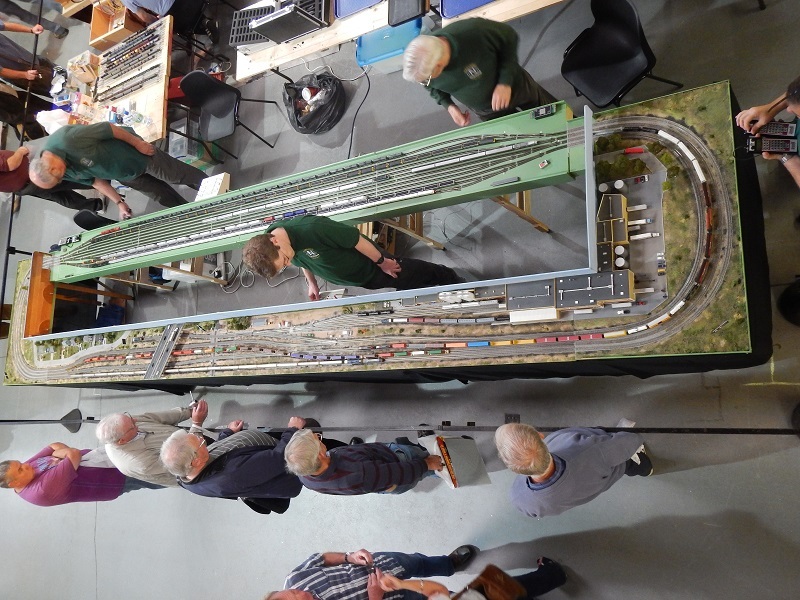 Apart from initial problems with the electric points on both the Saturday and Sunday mornings which meant the points were all handoperated, the layout ran almost flawlessly. 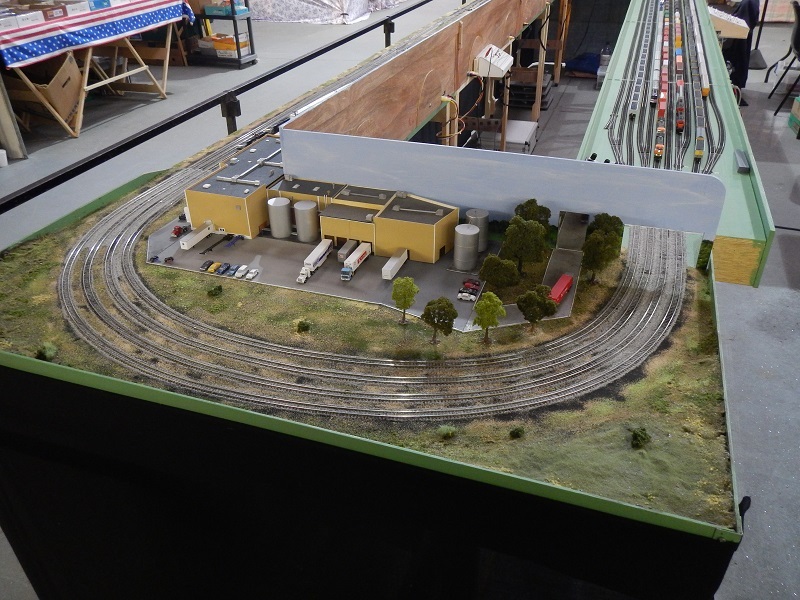 The odd derailments took place at the rear of the layout and hardly any stock had to be replaced due to faulty running. 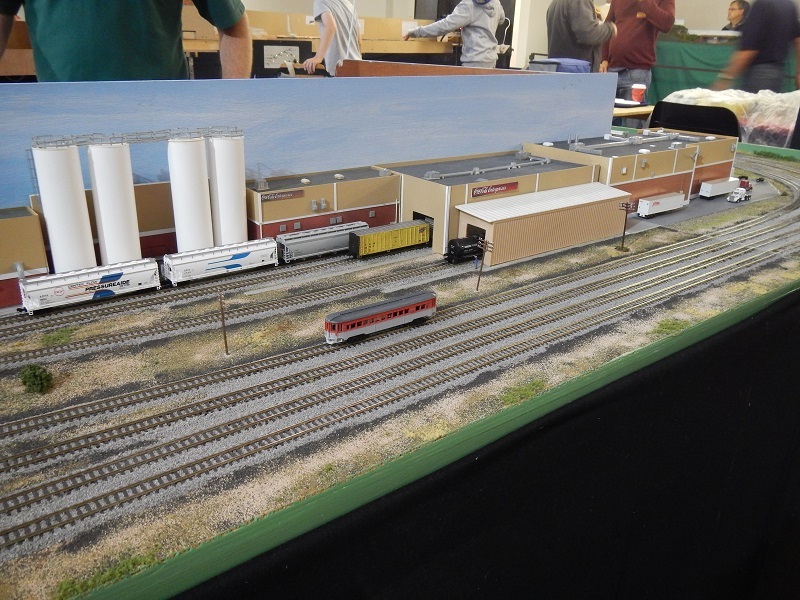 Having been responsible for the majority of the scenics, I was a bit concerned about the overall look, but we had a lot of positive feedback about the layout and the stock. I don’t think I’ve ever been approached as much at a show before with questions on a whole host of topics, but we were all kept very busy. I think my first trip away from the layout on the Saturday was about half-past three!! So, all in all a successful outing — thanks to Sandy and Malcolm for the transport (and help) and also to Mark and Steven for all their help. (all photos courtesy of Sandy Clark). You can tell it's Sunday afternoon!! One of Sandy's 3D Printed Interurbans get's its first run out. A slighty different view from the balcony.